Genuine Repentance	Fifty Shades of WHAT??? 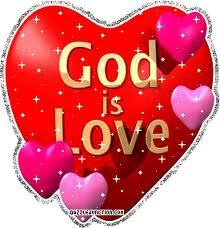 God bless you all and may you feel the love of our God deep in your heart today and every day!!!! Today is Valentine’s Day and the name Valentine goes back to 269AD when a few Christians name Valentine from Terni and Rome were martyred and the celebration to honor them was on February 14th. But it wasn’t until the 14th century when a few poets from England wrote about love and a bird’s time for finding a mate in England… that this holiday really started to take form. Whatever the true reason for this celebration…I believe it’s a great one… because the greatest fact about the nature of God our Father is……GOD IS LOVE! John 3:16 For God so loved the world that he gave his one and only Son, that whoever believes in him shall not perish but have eternal life.